I love Molasses Crinkle cookies. All the seasonings, the dark, sweet molasses – they just ooze with holiday feels! Family, friends, time at home – holiday foods just make you feel good inside and out! I can hardly believe we are coming up on the month of November – before we know it, Thanksgiving will be here! Thanksgiving is 100% my favorite holiday though. I absolutely love all the foods, going home to see family and friends, and did I mentioned, the food? Every family has their own Thanksgiving traditions. Whether its a special dish, watching football, or preparing for black Friday – it is just a lovely time to be thankful for all that you have in life. Do you all have favorite Thanksgiving recipes?? Stuffing is my favorite – but not just any stuffing. My mom’s stuffing. Duh. 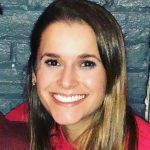 I can’t wait to start planning what I’ll make this year! 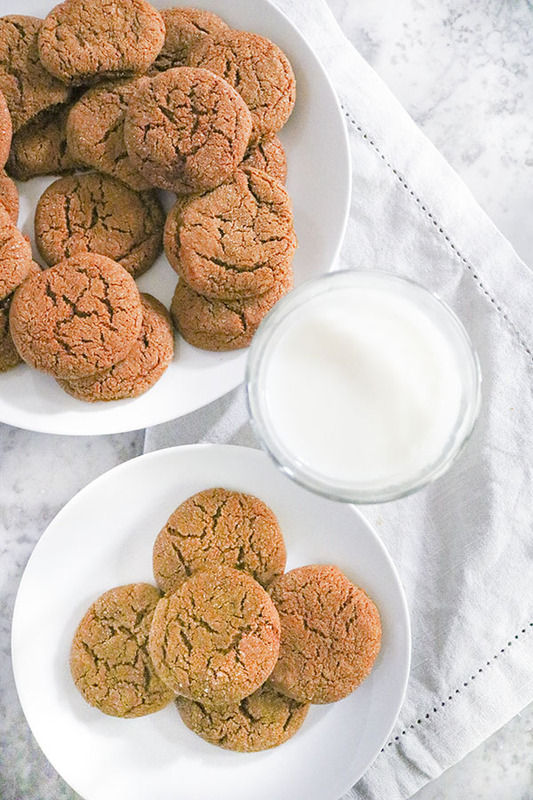 But first, back to these Molasses Crinkle Cookies! 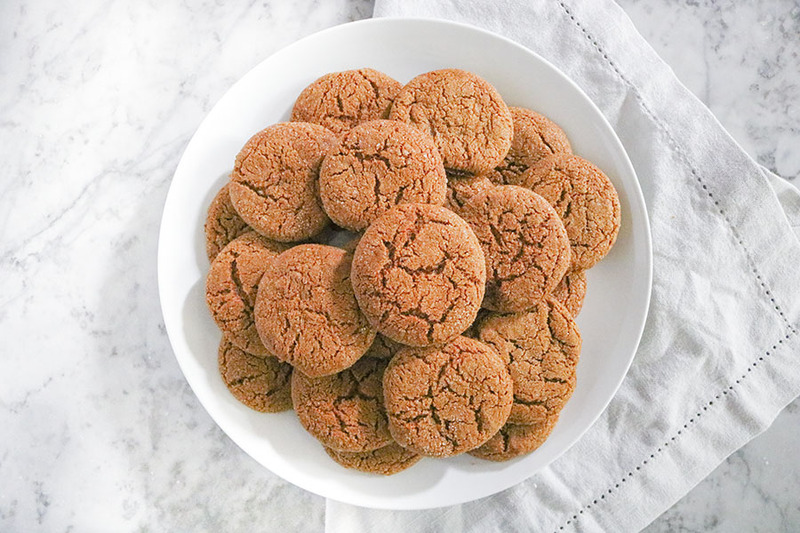 Some might wonder, whats the difference between Molasses Crinkle Cookies and gingerbread or ginger snaps? 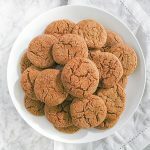 The key difference is that Molasses Crinkle Cookies are soft and chewy, while gingerbread or ginger snaps are usually crispier in texture (or snappier, get it?). And of course then you have to decorate the cookies! Drop cookies and bar cookies are more my speed. Easy. 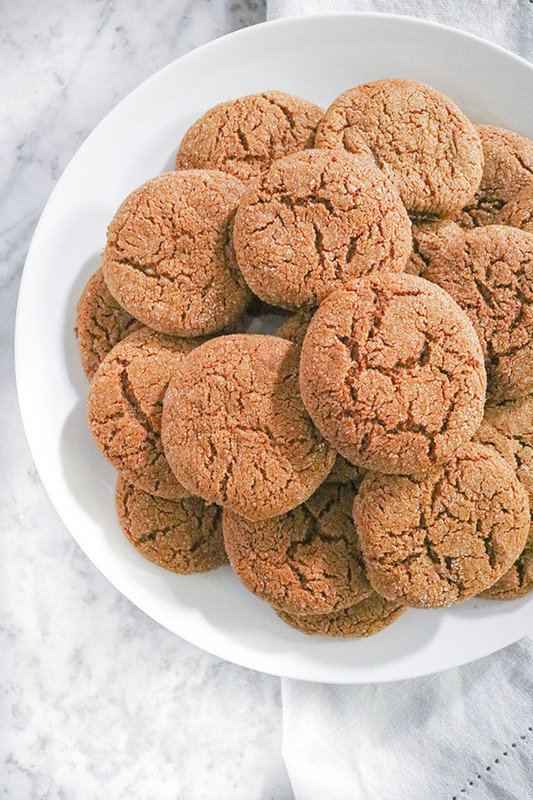 These Molasses Crinkle cookies have been a holiday tradition since started baking way back when as a little kid. 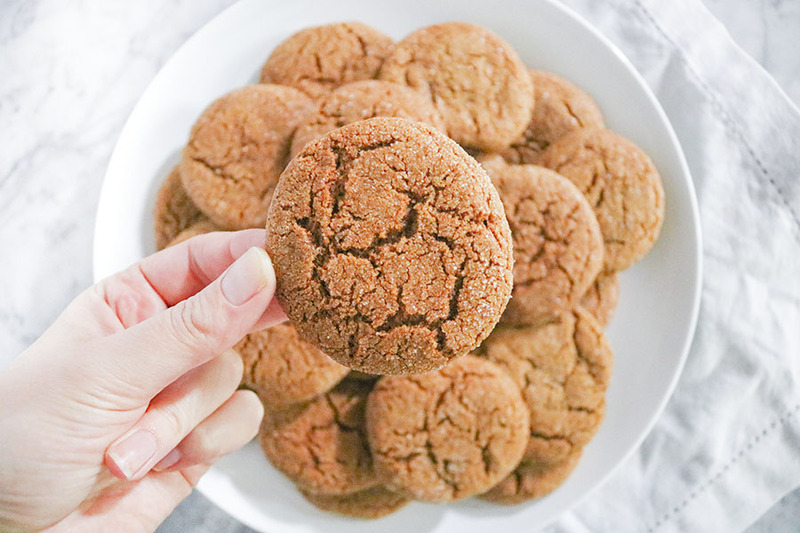 Rich, chewy molasses cookies spiked with a dash of hot cayenne pepper, then rolled in sugar before baking. Enjoy with a class of cold milk and boy oh boy – you have got yourself a special treat! Preheat oven to 350F. Cover a cookie sheet with parchment paper or a silicone mat for baking, set aside. In a large bowl, use an electric mixer to beat butter until fluffy. Add sugar and beat until sugar is fully whipped into butter. Add egg, vanilla, and molasses - beating until fully combined. In a small boil, combine all dry ingredients. Gradually add dry ingredients to wet ingredients, mix until fully combined. Place sugar into a bowl, set aside. Use a large spoon to form 1-inch balls of dough, roll in sugar then set onto pan about 1-inch apart. Bake at 350F for 12 minutes until cookies have browned and begin to crack. Remove from oven and allow to cool for a few minutes on the pan, then move to a wire rack to cool completely. Enjoy with a cold glass of milk, hot coffee or tea. Storage: Store in an airtight container for up to 1 week.